Per his military service record (regimental no. 1677), William “Bill” Thomas Hitchen was born at Mudgee, N.S.W. Lowering his actual age of 51 years by several years, he gave his age as 44 years and 2 months, and his address as Bridge Street, Gilgandra, N.S.W. He gave his occupation as plumber. His description on his medical was height 5 feet 7 ½ inches tall, weight 180 lbs., with a medium complexion, light brown eyes, and fair hair. His religious denomination was Roman Catholic. He claimed to have no previous military experience. He was known as Captain Bill Hitchen on the Coo-ee March as he was the Captain of the Gilgandra Rifle Club before enlisting. Bill Hitchen was one of the main organisers of the Coo-ee March (along with his brother Richard G. Hitchen), and he joined the Coo-ees at Gilgandra at the beginning of the march. His official enlistment date is the 10th October 1915. 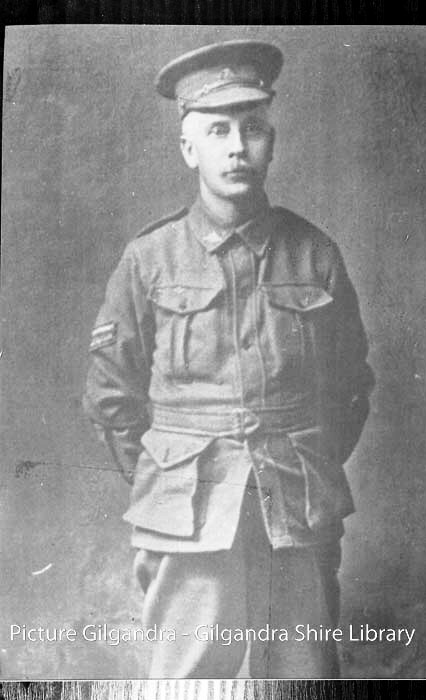 However, per his service record he did not complete his medical and attestation until the 24th February 1916 at Bathurst, after he assisted in organising the Kookaburra March from Tooraweenah to Bathurst in early 1916. After the Kookaburra March he was allocated to the 2nd reinforcements to the 45th Battalion as a Corporal. Corporal Hitchen departed Sydney on the HMAT A40 Ceramic on the 14th April 1916. He embarked from Alexandria on 6th June 1916, and disembarked at Plymouth, England, on the 16th June 1916. 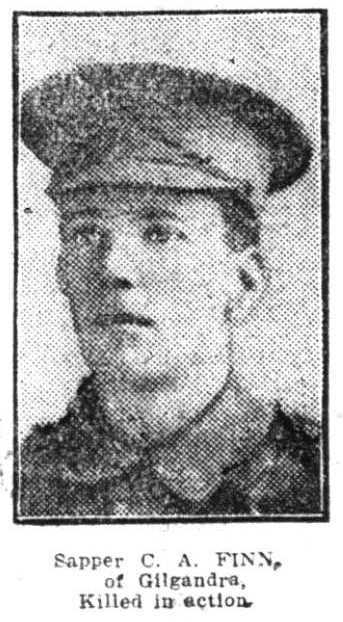 He was admitted to the 1st Australian Auxiliary Hospital at Harefield Park on 21st June 1916 sick with Melanotic Sarcoma. He also had Diabetes. 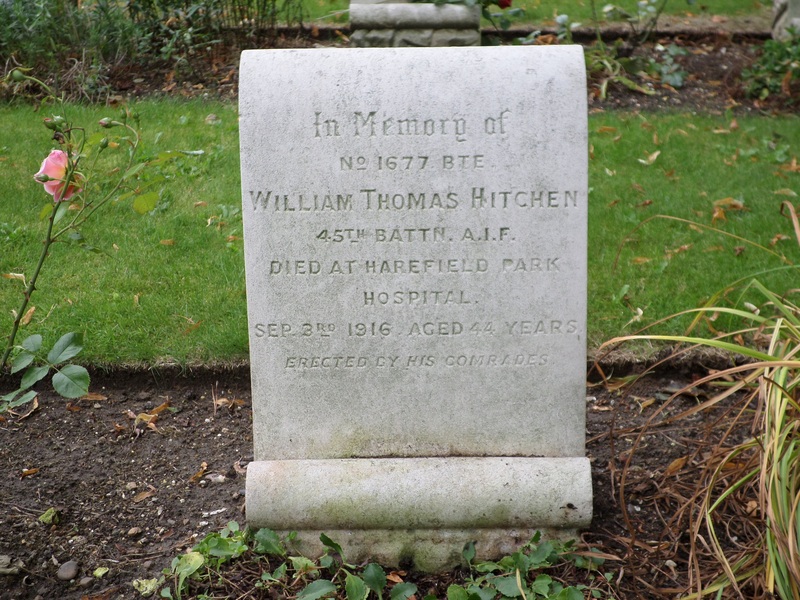 Corporal Hitchen died of his illness on the 3rd September 1916, and was buried at the nearby Saint Mary’s Churchyard at Harefield, England. His name is also listed on the Gilgandra War Memorial, Cooee March Memorial Park Gateway (Gilgandra), and the Gulargambone War Memorial. Per his military service record (regimental no. 6289), Charles Arthur Finn was born at Mt McDonald, N.S.W. He gave his age as 27 years and 3 months, his marital status as single, and his occupation as Blacksmith. He completed his medical on 7th October 1915 at Gilgandra and was attested by Captain Nicholas on 9th October 1915 at Gilgandra. He claimed to have had no previous military service. After completing the Coo-ee March he went to Liverpool Camp as reinforcement for the Engineers. On his embarkation roll his address at time of enrolment was Gilgandra, N.S.W., and his next of kin is listed as mother, Mrs Eliza Finn, ‘Rosevale’, Everdon, Gilgandra N.S.W. Sapper Finn departed Sydney on the HMAT A26 Armidale on 21st March 1916 with the 15th reinforcements for the 1st Field Company Engineers. He arrived in Egypt on 24th April 1916. On the 28th May 1916 Sapper Finn left Alexandria aboard the SS Briton bound for England where he trained before being sent to France on 18th August 1916. He marched into the 4th Division Base Depot at Etaples on 18th August 1916. Sapper Finn was transferred to the 13th Field Company Engineers, and was one of 15 reinforcements who marched into the 13th Field Company Engineers on 27th August 1916, whilst it was resting at Pernois, France. On the 1st December 1916 he was admitted to the 14th General Hospital at Boulogne, France, with Influenza. On the 9th of December 1916 he was transferred to the 1st Convalescent Depot at Boulogne. On the 16th of December 1916 he was sent to the 25th General Hospital suffering from piles. On the 3rd of January 1917 he was transferred to the 7th Convalescent Depot. On the 14th February 1917 Sapper Finn was sent to the No.3 Large Rest Camp. On the 18th February 1917 whilst at the Number 3 Large Rest Camp Sapper Finn was charged with Whilst Being On Active Service Being in Bed One Hour after Reveille. He was awarded Five Days Confined to Barracks. 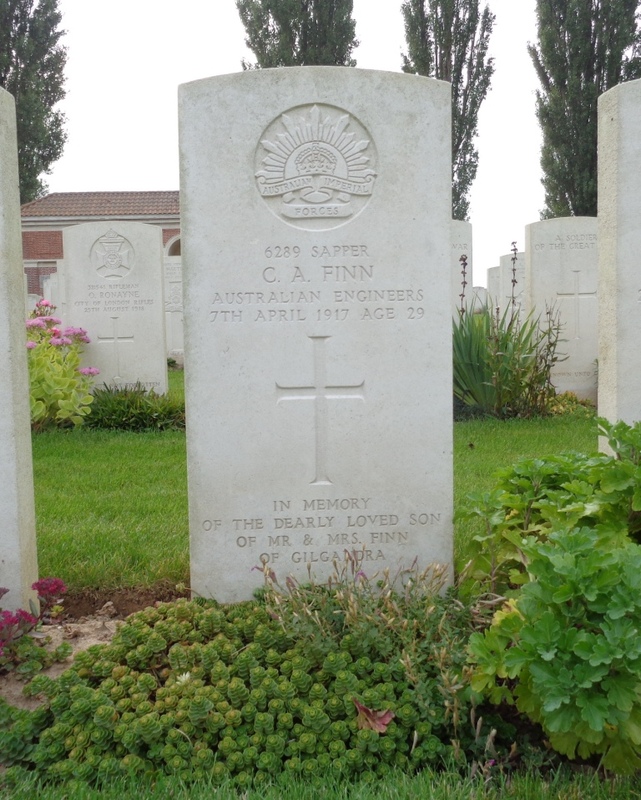 On the 26th February 1917 Sapper Finn marched into the Australian Engineers Base Depot at Etaples. On the 15th March 1917 he rejoined the 13th Field Company whilst it was in Reserve at Baizieux, France. 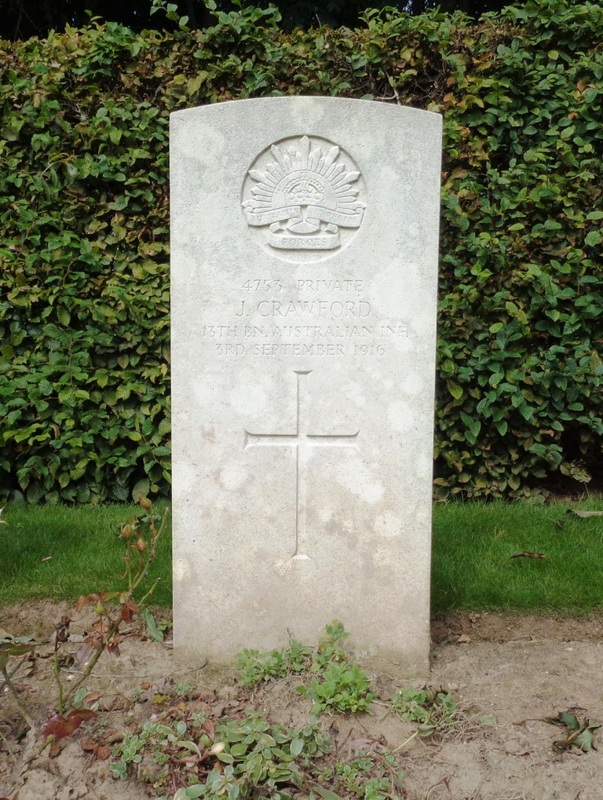 His body was exhumed from this grave after the war, and he was then buried at the H.A.C. Cemetery, Ecoust-St. Mein, Arras, Nord Pas de Calais, France. Sapper Finn’s name is commemorated on panel 23 on the Australian War Memorial First World War Roll of Honour. His name is also listed on the Gilgandra War Memorial, and the Cooee March Memorial Park Gateway at Gilgandra.